We’ve been waiting years for this, and it finally happened. Newton Velocity, formerly MorWeb, can now send broker applications to virtually every lender Finastra Expert can. What this does, for the first time ever, is create legitimate and imminent competition for Expert. To date, brokers have balked at switching to Velocity, despite all its extra bells and whistles, primarily because brokers still had to use two platforms to reach all lenders. A while back, a few brokers also posed concern on social media that Newton might market to their clients, but Newton’s user agreement prohibits this, the company maintains. Brokers’ biggest beef with Velocity has always been the inability to reach lenders like TD, Home Trust, CMLS and so on. But now that worry is no more. Expert and its decade-old technology is at risk of losing thousands of users. Newton hopes to transition over almost all existing Expert users to Velocity by this time next year. Velocity has 1,500 active users so far (2,800 total), yet Expert still reportedly commands over 85% market share. Newton hopes that features like integrated CRM, easy client document upload links, built-in e-signing and automated document capture (from the client’s bank account, for example) will win over users from Expert. But the platform isn’t perfect. While Velocity is able to submit to all lenders, there are a small number of lenders for which users are unable to see the lender’s responses back on their Dashboard. In those limited cases (e.g., Street Capital, B2B Bank and Optimum), lender approvals will continue to be received via email. The company hopes to have that change in the coming year, reducing the need for brokers to visit multiple lender portals to stay updated on their deal status. “DLC Group brokers do not pay a subscription fee for Velocity, including its enhanced version,” says Geoff Willis, Newton President and CEO. Nor do independent brokers pay anything to use the base platform. Independent users get the basic deal entry system for free, and pay up to $65/month (less if under a multi-license agreement) for an “enhanced” version. 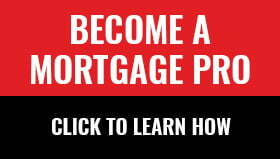 The free basic version lets a non-DLC Group broker submit to virtually all lenders they can send to on Expert today. What’s not clear is what permission they need from their brokerage of record in order to use Velocity. “There’s going to be more third-party systems competing with Expert,” says Willis. Finastra’s FX Link, which connects point-of-sale (POS) platforms like Velocity with other lenders, could open up a range of innovative deal-submission systems. Coding to lenders directly is time-consuming and expensive. FX Link makes it much easier. The problem for innovators hoping to compete with the likes of Expert, Velocity and M3 Group’s MortgageBOSS is that they may have to charge brokers to be on the system. And brokers are not used to paying for deal-submission technology. The good news, longer term, is that Newton is led by people who grasp the threat coming from online direct-to-consumer lenders. There’s an arms race starting wherein every major lender is trying to build a faster and easier application system. Brokers will largely rely on deal submission software providers to compete in this arena. Willis, for his part, is keen on arming his broker users with things like pre-populated application data, automatic financial statement importing and direct access to CRA documents (once that becomes possible). Editorial Note: MortgageBOSS was also contacted for this story but did not respond by press time. Next ArticleShould You Be Paying Your Mortgage Down Aggressively?